You are invited to a public meeting to find out about an exciting new potential history project about Walkley. 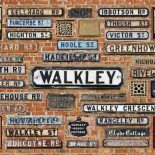 The Walkley Historians are exploring ideas for a Streets of Walkley project to begin after Walkley Ways, Walkley Wars has finished. We wish to apply for Heritage Lottery Funding next year. If you are interested in finding out more about the subjects and how you might be able to get involved please join us at 7pm on Friday 13th November, Walkley Community Centre. You’ll hear some of our ideas, be able to ask questions, suggest subjects you’re interested in researching and find out how to get involved. This entry was posted on November 3, 2015 by Bill Bevan in Events, Uncategorized.